Diversified are an exciting and dynamic organization that own , produce and facilitate trade shows in Australia. 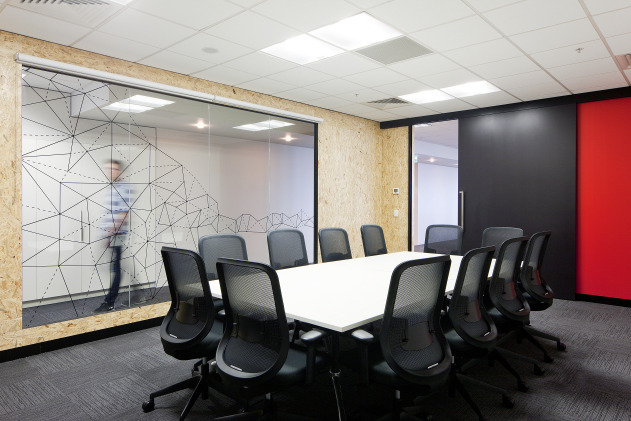 Linear were appointed to relocate the team of 120 people to new premises on St.Kilda Road. 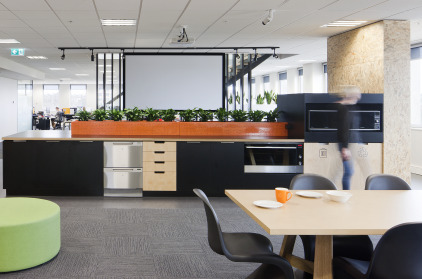 The primary design objective was to “ bring the show to the office” and recreate within the workplace the same sense of community & buzz synonymous with the shows. encourage teams to mix it up – allowing people to work within different show teams for extended periods of time. 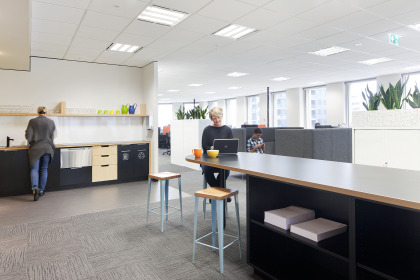 The design brings to Diversified colour & vibrancy, a more connected workplace and a look and feel developed around the key associations of a show – portability, packaging, and the simplicity of temporary spaces.